Easily move heavy manhole covers up to 400 Lbs. Without worrying about your fingers, toes and back. Reduce lost time injuries caused by handling covers. Minimize stress & strain on you body - system does the heavy work. Retractable four-length handle gives maximum leverage from any angle. 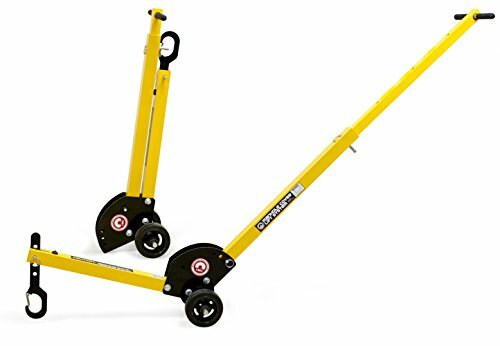 Ideal for survey crews, handle breaks down for easy storage & transportation. If you have any questions about this product by Industrial Magnetics, contact us by completing and submitting the form below. If you are looking for a specif part number, please include it with your message.